This printed hardcover textbook contains 710 full color pages, including over 900 color images, and delivers a powerful and cohesive manual to develop all aspects of strength & conditioning training. Along with fitness assessment, stretching and resistance training exercises, various speed, agility and quickness drills keep you injury-free for the season, make you stronger and faster. Along with fitness assessment, stretching and resistance training exercises, various speed, agility and quickness drills keep you injury-free for the season, make you stronger and faster, and ensure your safe athletic development. 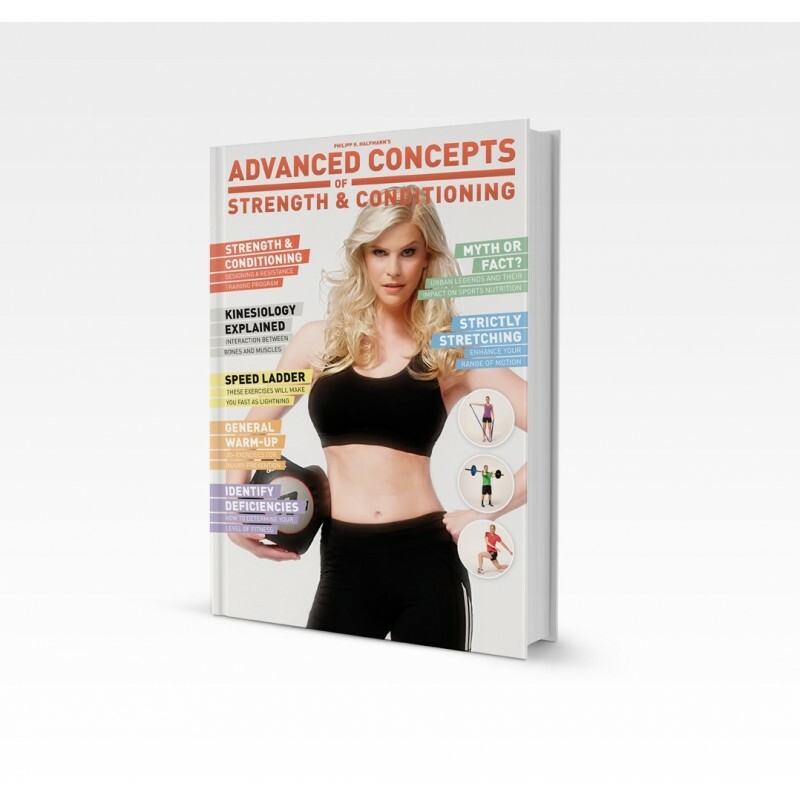 Endorsed by the International Association for Athletic Performance & Health (IAAPH), Advanced Concepts of Strength & Conditioning is the most comprehensive and cohesive manual available to optimizing athletic capabilities in a developmental fashion suitable for athletes of all skill levels.